If you are dissatisfied with our services or products please tell the management right away. We will do what we can to satisfy you. We realize not all clients can be satisfied and A Harmony Nail Spa may not be the match you are looking for. Must call 24 hours ahead to change or cancel appointment or full price will be charged. All appointments required to have a confirmed form of payment when making reservation. Nothing will be charged at time of reservation, Credit Card, or Gift Certificate, check in advance. Bridal and large Parties required 50% deposit. No refund on retail purchases, exchange only with receipt of purchase only within 30 days. If you receive services from an independent contractor and have a complaint you must contact them directly, if you are still not satisfied please contact ahns mgt. Children are not permitted to be left unattended. Loud noisy children and loud talk are not permitted in the spa areas. Please be mindful of others having relaxing services. If you are unsatisfied with a service while having one, you must notify the technician. The Service will be stopped and you will be offered another in its place by another technician if available. If you receive the entire service without notifying the technician you forfeit your right to a replacement service. We take negative reviews seriously as we guarantee our service, we will work to satisfy all those who have had a negative experience. If you have not brought your dissatisfaction to the attention of mgt you agree to not post and/or remove any negative public information about the company. We closely monitor review boards and do not allow defamation or slander and false accusations against the company. 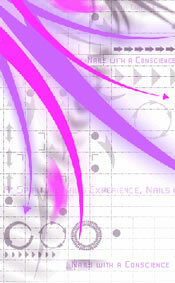 You agree to work directly with A Harmony Nail Spa to resolve your matter. We reserve the right to change and/or amend these policies at any time with or without notice. Copyright 2012 ahns mgt.